I suppose I probably ought to expound a little bit on that answer. Saying that flipped learning is better for ALL students is like saying wine is good for you. In both cases, it is something certain groups want to be true. It has a bit of a shocking ring to it. There are definitive examples of tangible benefits. Finally, it’s a very misused “fact”. 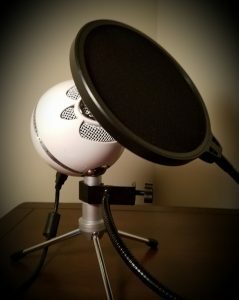 For this blog I promised myself that I would not use the words “semantics” or “definition”, in spite of the fact that all claims that fit on a button or bumper sticker inevitably come back to those two points. Regardless, let’s consign our discussion of both wine and flipped learning to a discussion of methods and amounts. Right from the start, the myth is loaded with trolling language by including the word “all”. As everyone knows, all statements that include the word all are always false guaranteed. While the previous statement is a smidge broad in nature, the truth of the matter still remains that to attempt to collect all students, with broad varieties of abilities, learning styles, topics, locations, background, and experiences into a single three letter term that can be addressed by a four-letter method FLIP is simple nonsense. In spite of books, conference presentations, and exceedingly long definitions of methodologies no one method can encapsulate all students and benefit them equally. So let’s get down to practicalities. First of all a simple broad definition of flip where the student watches a video at home then comes to class and does homework thus flipping the traditional activity locations has been debunked as effective for all students, or even the vast majority, since the very early days of flipped learning. While it is not unreasonable to place responsibility levels of learning on the student, those levels must be set in conjunction with developmental stage, emotional maturity, content, and and academic prowess. The group of my own students that comes immediately to mind are my most needy academic students in my lowest level math courses, many of those students struggle mightily with executive functioning abilities. For some, this is an intentional choice, for others it is a learned behavior, and yet for others it is something that they do not simply have the capacity to handle for a variety of clinical reasons. While it would indeed be reasonable to expect students near the middle of a normalized curve to be able to watch a five to six minute video at home, or at least away from the classroom, and perform some sort of formative assessment or practice component. The reality of education and the reality of variety in people means that students at the end of that normalized curve will simply not be able to accomplish that expectation. So does flipped learning eliminate an entire subgroup of students due to their lack of executive functioning ability? I don’t believe so. Flipped learning was very quickly adapted to address the needs of this group of students with what has become known as the in-flip. The in-flip is simply the same components of learning with video or digital content in addition to the homework, but does both components within a physical group space, allowing the independent space to be defined by levels of interaction. For example, In the in-flip students may enter a classroom with some students immediately preceding to a station or piece of technology and place headphones in their ears to begin viewing an instructional component or lab simulation. Others enter the same classroom at the same time and begin working on a collaborative learning practice or extension activity. Yet another group enter the same room at the same time and works one-on-one with either another student or teacher. In this scenario the in-flip means that independent learning activities and group learning activities are happening in the same space and at the same time, but not all students are doing the same activity at any given time. This scenario still qualifies according to the definition of F-L-I-P as the learning environment is indeed ‘F’ for flexible, and learning is the focus of all activity thus defining ‘L’ the learning culture. Additionally students are engaged in ‘I’, intentional activities and content, all directed by ‘P’ the professional educator. It simply means that the technology and the replication of the instructor using technology allows for both independent and group learning spaces to happen in non-traditional ways and at non-traditional times while still addressing the need to accommodate deficits in executive functioning. 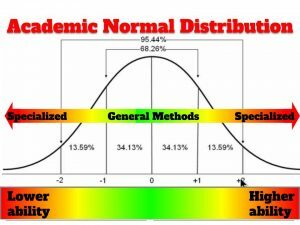 Let’s go to the other end of that normalized curve and discuss how flipped learning may not work for the students who academically fall outside the standard normal deviation because of their enhanced ability to provide for themselves all of the executive functions, mental habits, and process ease involved in learning. Interestingly students that have a mastery of organization, planning, and time management also find a traditional “video at home/homework at school” model constricting and maddening to the point that it becomes a point of frustration and conflict. This happens for a couple reasons. Additional instruction, or in some cases re-instruction on material they already have already mastered, is not the most efficient use of their time. Likewise practice or skill-based activities for students that have already mastered a particular component of content are likewise not a good use of their time and distract from the many other activities in learning but they are voluntarily participating in. The answer of course to how does F-L-I-P address this type of learner is the same answer as for students at the other end of the normal curve… student choice. In the previous example we talked about students entering the same class from at the same time but engaging in a variety activities based on their level of mastery or need. In the same way, students at the upper end of the normalized curve benefit from exactly the same type of variety, variation, student choice of activity, and use of resources but for different reasons. The goal for students at the lower end of the curve is acquisition of content leading to application, while at the upper end application of already acquired content becomes the goal. To begin tying up this discussion, let’s return to the analogy of wine. Wine has a long history of uses and purposes from the sanitizing properties of the alcohol contained in wine in the ancient world, to its societal and religious use in that same ancient world. Today there are more varieties and schools of wine making then at any other point in history. Entire social groups and scientific studies based around the properties of a particular mix or type of wine are the passion of many, to say nothing of the arguments over the best culinary pairings. In the same way, flipped learning has variety and a breath that allows the benefits of flipped learning to be applied in different situations and to different students. When students and methods are paired correctly there is a clear benefit and enhancement in learning. As for the claim that wine is good for you, my cardiologist is quite clear that a glass or two of wine a day has marked benefits for circulation and general health. As usual the devil’s in the details and the detail in question is amount. While two glasses of wine provides health, wine in excess does nothing but dull the senses and stress the body. Likewise the appropriate use of technology learning activities collaboration, and flipped learning needs to be intentional and measured. Application of too much technology, or an excess of activities for activity sake do not produce learning but frustration, and become a source of contention. Is flipped learning good for ALL students? No, Is flipped learning is adaptable and malleable enough to address students who sit outside the normal deviations of abilities? Yes. However, that still doesn’t make flipped learning the best method for ALL students and this is likely a conversation that will have to be picked up again in another blog.